Between Sept. 3 – 14, I visited the Yezidi refugees in their camps from Roboski to Diyarbakir. Yezidis fled from Shengal, Iraq, when Islamic State forces attacked them on August 3-4. There was a population between 700,000 and one million Yezidis living in the Shengal region in northeast Iraq on the border of Syria. At least 30,000 fled to the safety of Turkey. Those with passports entered at Harbur Gate border near Silopi. Those without passports, approximately 25,000, entered on foot through the mountains to the village of Roboski. Without exception, the humanitarian aid effort in Turkey has been organized by local Kurdish-run city halls (Belediyesi). Aid in the form of money, blankets, clothing, food, shelter, and transportation has come from donations from Kurds and friends of Kurds world-wide. Camp managers reported that no aid has been provided by the Turkish government in Sirnak, Diyarbakir, or Ankara. No aid or even visits has come from NGOs, the E.U., the U.N., the International Red Cross or other sources. As reported by all camp managers, all aid has come from private donations. The Kurdish people are masters at mounting organized humanitarian aid efforts. They have lots of experience. In the 1990s, over one million Kurds were internally displaced in Turkey when Turkey evacuated and destroyed nearly 3,000 towns and villages without compensating the Kurdish residents. While all of the Yezidi camps in Turkey share these similarities, that is where the similarities end. The differences are in part due to available facilities and in part due to the local philosophy of how to manage the refugees. Each location has both advantages and disadvantages. The village of Roboski with a population of 1100 welcomed, fed, and sheltered 21,000 Yezidis who were guided from Iraq by the (Kurdistan Workers’ Party) PKK. (Surrounding villages cared for another 4,000 people.) They slept only one or two nights at the Roboski school before being taken north by Belediyesi buses to other camps to make room for new arrivals. 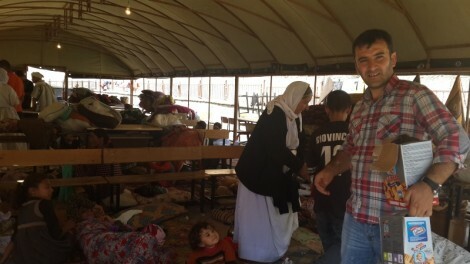 In Roboski, Yezidis were housed under large tents and were free to leave. One classroom was filled with donated prescription medicines. Many people arrived in bad condition and were taken to the hospital for treatment. The Roboski camp was managed by Ferhat Encu and Lezgin Encu. 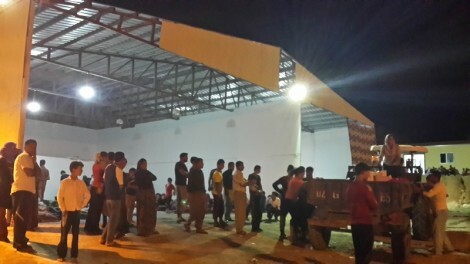 On September 4, the Roboski camp was disassembled for the beginning of school. Approximately Sept 7, 3,000 Turkish soldiers were sent to the mountain border which they bombed. No injuries were reported. After the soldiers retreated, 1,000 Yezidis entered Turkey and were taken by bus directly to Şirnak, by-passing a stop in Roboski. The Hilal school is 30 km north of Roboski. It housed and fed over 300 Yezidis for one month under the management of Sadik Benek. They slept in all the classrooms and also outside in the school parking lot. They were free to leave. On Sept. 9, the Hilal school camp was closed for the start of school, and the Yezidis were transferred to Cizre camp, one hour from the Iraq border crossing at Harbur Gate. They had been promised to be transferred to Diyarbakir, the largest Kurdish city in North Kurdistan. 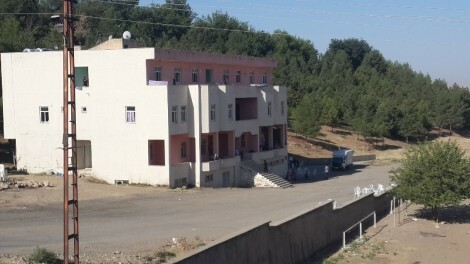 Two schools in Şenoba (pronounced Sheh-noba) housed 800 Yezidis for one month until the start of school. Şenoba is such a tiny village, if you blink, you miss it when driving along the road from Uludere to Şirnak. On Sept. 9, Siirt sent 21 buses to transfer the Yezidis from Şenoba to Siirt. 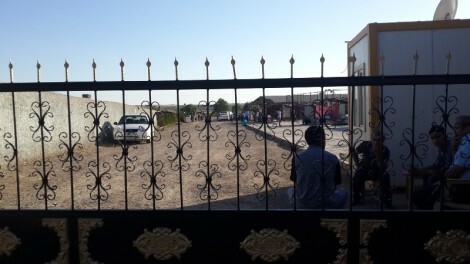 Although the Şenoba school camps were reported by Yezidis to be over-crowded, without enough food, the town must be commended for housing so many people for one month. They closed for the start of school. 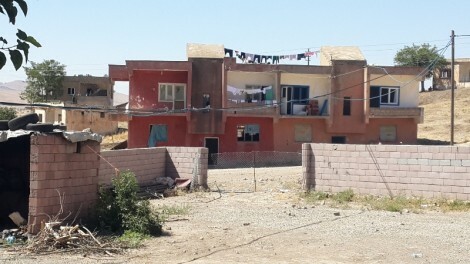 There are several Yezidi camps near the city of Şirnak. One of the camps, 3 km before entering Şirnak, is on private land donated by Bedrettin Dicle, a Kurdish businessman who owns a construction company. 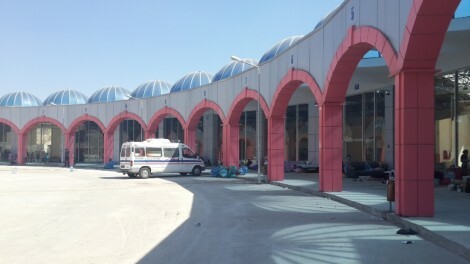 He provides a large warehouse to shelter people on a building site. They also have tents made from carpets and blankets. Hot showers are on the property which has a view of the Cudi (pronounced Judi) Mountain range. 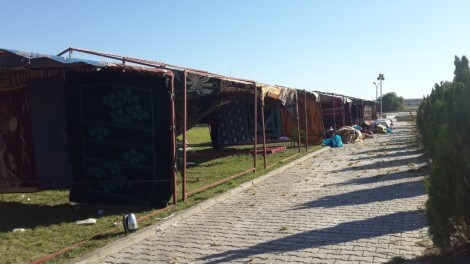 The property owner provides camp security, but people are free to go into Şirnak on the bus and return. Visitors are free to enter the camp. Sirnak has replaced Roboski as the first stopping place in Turkey. 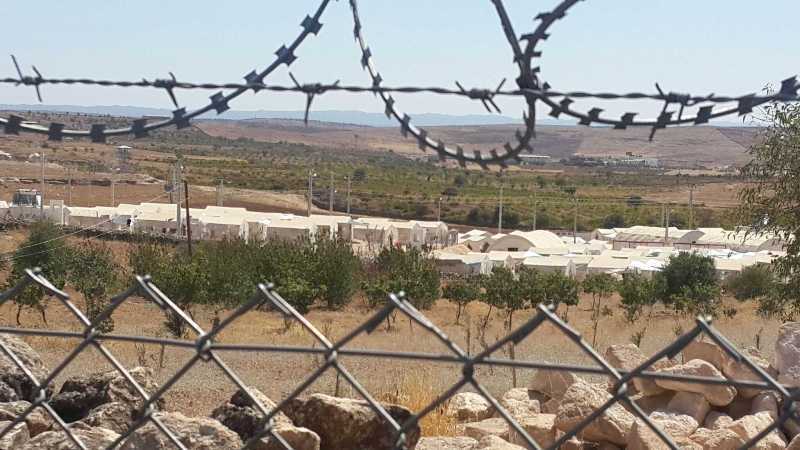 As other camps become available, people are transferred from Şirnak. Siirt is two hours north of Sirnak on the road to Batman. It is a beautiful drive through the mountains. 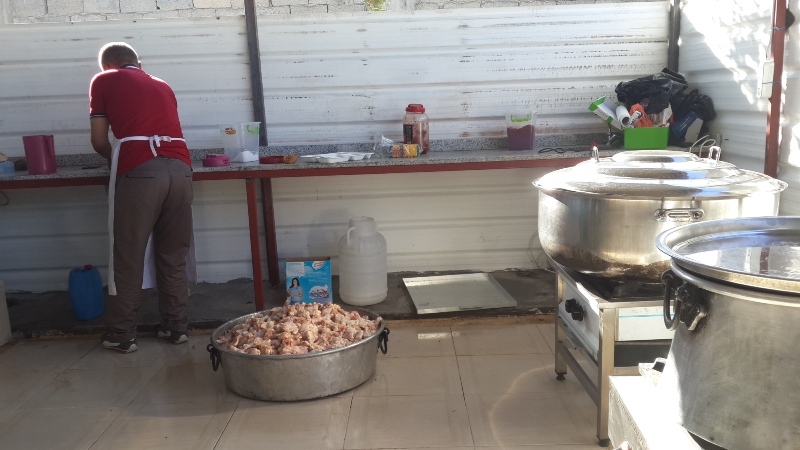 The Siirt Yezidi camp is in Koçer village, donated for use and operated by the Siirt Belediyesi and managed by volunteer Abdullah Çetin. Çetin was a journalist for DIHA and spent two years in prison during Turkey’s KCK operation. Sabri Koçer, on the city council, is a volunteer in charge of food services. He spent 8 years in prison for “associating with a terrorist organization,” although he explains he never carried a weapon nor hurt anyone. The village is renamed Duderan Şengal Kampi. It is 5 km outside of Siirt city on the highway to Batman. While this village is remote, it is operated by people with deep empathy for the plight of Yezidis and may be one of the best solutions for the coming winter. Although Yezidis want fast solutions, this is unlikely to happen. 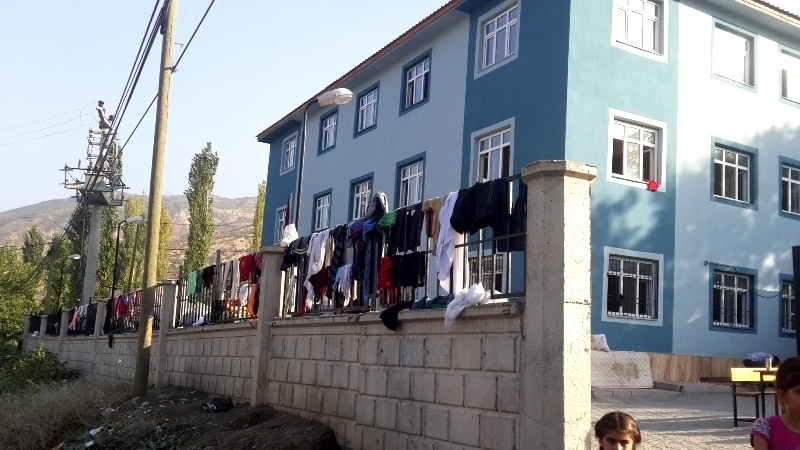 These houses were built by the Siirt Belediyesi in 2009-2010 to house the families of shepherds who were not permitted to take their sheep to the mountains to graze in the summer. This was because of the armed conflict between Turkey and the PKK. So each family of sheep owners was given a house in Koçer and the sheep grazed on the surrounding land. Now that the shepherds are permitted to take their sheep to graze higher in the mountains, Koçer village is no longer used. In the winter, the shepherds return to their houses in Siirt. The Siirt Belediyesi renegotiated the use of these houses with the sheep owners. 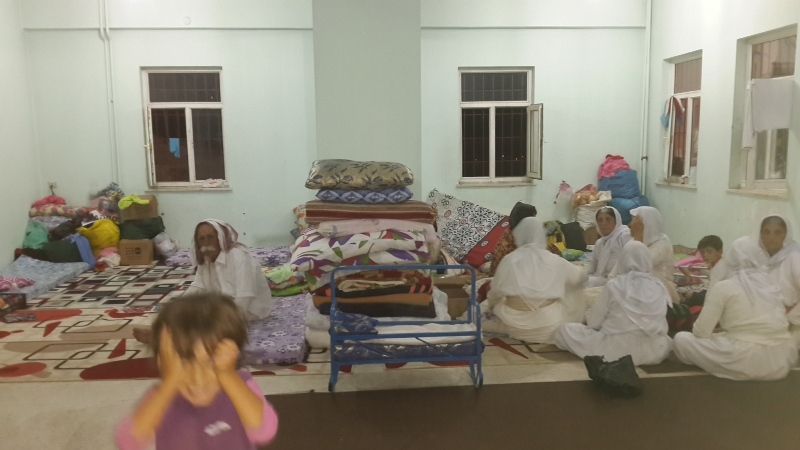 The Yezidis who had been housed in Şenoba schools arrived weak and sick to the Siirt village on Sept. 9 to a large welcoming committee. Each family was given its own house, complete with kitchen. All services, including electricity, food, clothing, and bedding is supplied free. Upon arriving to this village, there was no guard. When leaving two hours later, the road was blocked and guards were stationed there. It appears that Yezidis may not be free to leave. Ten security guards are stationed around the Siirt village at night. There is no wall or fence surrounding the village; only miles of vacant hillsides. There is no public transportation into the town of Siirt. The village cannot be seen from the main road, and there is no sign. One cannot find the dirt road leading to it without being shown. The Yezidis will be welcomed to stay until they can return to Iraq or another solution is found. There are five Yezidi camp locations in Batman, housing 4,500 people. One Batman location for Yezidis is in the heart of the city, a five-minute walk from the modern, four-floor Batman Park shopping mall. Yezidis are free to leave and return. Their location is a government building that was vacant. Ownership of the building is being contested in court between the local Belediyesi and the Batman Governor’s office. Kurdish volunteers cleaned and prepared it for the Yezidis in one week. It is run by Abdullah Mehmetoğu who showed me the application for medicines to the Batman health services department which had just been denied because the Ezidis do not have legal visas. Batman is in need of medicines and doctors. The Batman Belediyesi has plans to erect tents in the country-side for the Yezidis, although this has not happened as of this writing. 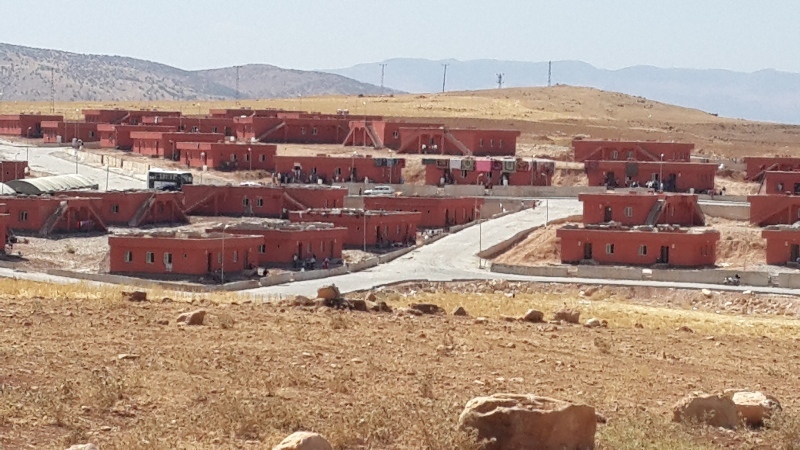 The Batman Belediyesi has initiated a program, under the direction of DBP Fikret Taşkin, to settle the Yezidis in 20 formerly Yezidi villages that were forcibly evacuated in the early 1990s by the Turkish government. There are 30 villages surrounding Batman that are mostly empty. Each village has only one or two families living in it. 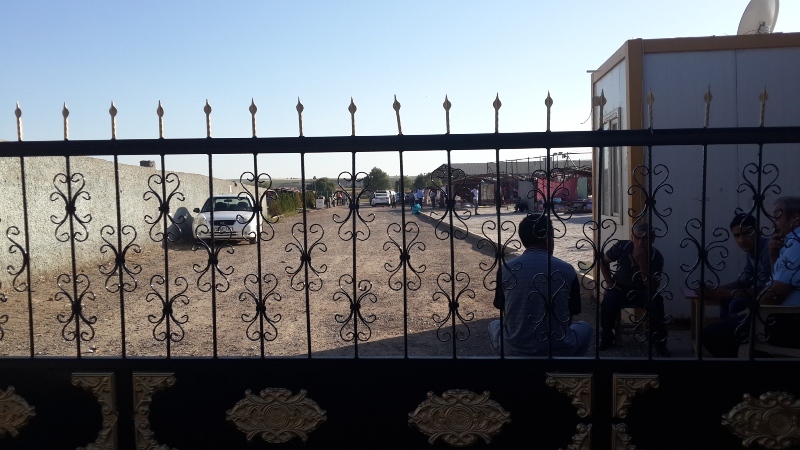 The use of these villages was protested by the current owners who acquired the land after the 1990’s forced evacuations, but pressure was brought, and now 94 houses in nine villages have already been restored for the Yezidi refugees. The houses have new windows and have been cleaned and prepared. 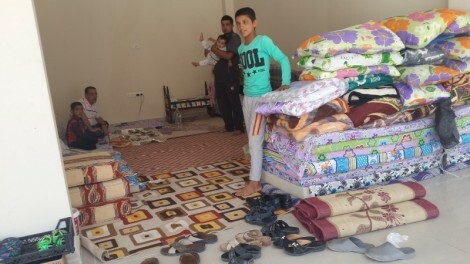 Each Yezidi family will be given its own house to live in until they can return to Iraq or another solution is found. The villages are not guarded, but they are at least 30 to 50 km from Batman city in the middle of agricultural land. 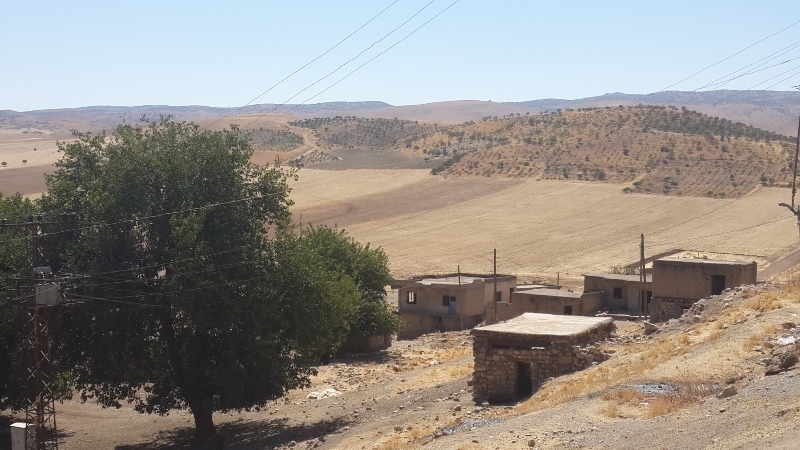 There is no internet connection or public services available, making it difficult for Yezidis to communicate and develop a plan of action. The Yezidis fleeing the Islamic State terror, have a vision of migrating to Europe or beyond and living the dream of a comfortable middle-class life as seen on American TV series. 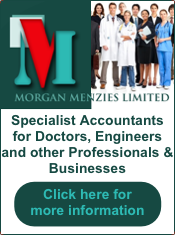 Many of them are university-educated professionals such as engineers and architects. The notion of raising animals and growing their own food is a mismatch for their aspirations and skills. Personally, I find the rolling country-side, devoid of billboards, corporations, franchises, Walmarts, pollution, and Monsanto crops extremely appealing. If someone gave me a house in a Batman village, I would jump at it. The Bismil camp is at the edge of the small town of Bismil near an open field, 30 km west of Batman and 70 km east of Diyarbakir. It is guarded with a gate, police, and surrounded by a wall. I was permitted free entry to speak with Ezidis and the camp managers, but no one is permitted to leave. In the Bismil camp, a huge pot of chicken legs was being prepared on-site for meals. The news of Shengal was showing on a large overhead TV screen. Ezidis are living in make-shift tents made with carpets and blankets. There is a large open-air roof for protection. Management is looking for housing for the winter. The camp manager is Yasin Karabulut. He says they need a doctor and food for children, especially milk. After some intense discussions, the Ezidi interpreter for me was permitted to take a bus to Ankara to present the list of his family’s names to the United Nations High Commission on Refugees (UNHCR) for assistance. He had a pre-registration meeting with Asylum Seekers and Migrants (ASAM, EMEK Mah 8. Cad. 29; Sok no. 3706000, Ankara; tel: 0312 212 6012/3). ASAM is the implementing partner for the United Nations High Commission on Refugees (UNHCR ) in Ankara. He was given an appointment five months in the future. Midyat can only be described as a prison camp. It is at the edge of the town of Midyat, next to historic buildings. It is surrounded by wire fence topped with razor blade coiled fence. It is guarded by unwelcoming armed Jandarma (soldiers) and gates. The total camp site houses 6,000 people, mostly Syrians, in rows of white tents. The Yezidi camp has 2,700 people. Yezidis without legal visas cannot leave. No one can visit, including journalists. I gave a ride back to the camp to two Yezidis who had been living in the camp for one month. They entered Turkey legally at Harbur Gate with passports and were allowed to leave to visit town and return. Their passports were held by the Jandarma while they went into town. Mardin is by far the best located and managed camp for Yezidis. The Mardin Belediyesi has built a brand new, large bus terminal. It was scheduled to be opened in the summer of 2014, but the opening has been delayed so it can be used for Yezidis. It has two floors with 100 individual rooms, open to a wide corridor. Each family has been given its own room. The population is 900 with a capacity of 1,000. Most of the population of Yezidis are children. 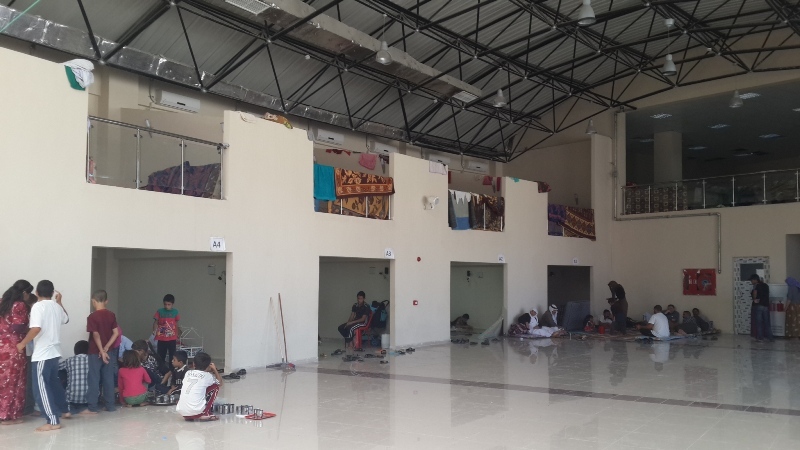 The Mardin location has an ambulance on-site 24-hours a day, a room full of medicines, a huge kitchen where food is always available, free clothing (both used and new), carpets, blankets, and pillows. It has supervised play activities for children. There is an area for washing and drying clothes. 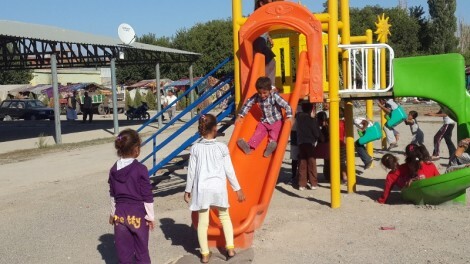 In the world, Mardin must serve as a model for a refugee relief camp for both the quality of facilities and services. The people are free to leave and return. Three families of about 15 people returned this past week to Shengal. People in the camps can communicate by phone with people in Iraq and get the latest news on their relatives’ situation. The Yezidis are welcome to stay here until they wish to return to Iraq or find an alternative solution. 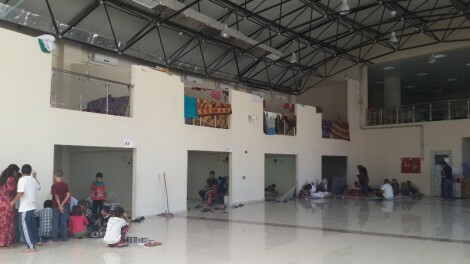 The camp is managed by Mehmet Ali who is the director of social services from the Mardin Belediyesi. A volunteer staff of 120 people live in tents on-site. Veysel Şimdi manages the camp on-site and organizes all the services. As more people arrive, there is a Plan B and C to open more locations so that families in the bus terminal will not be crowded. 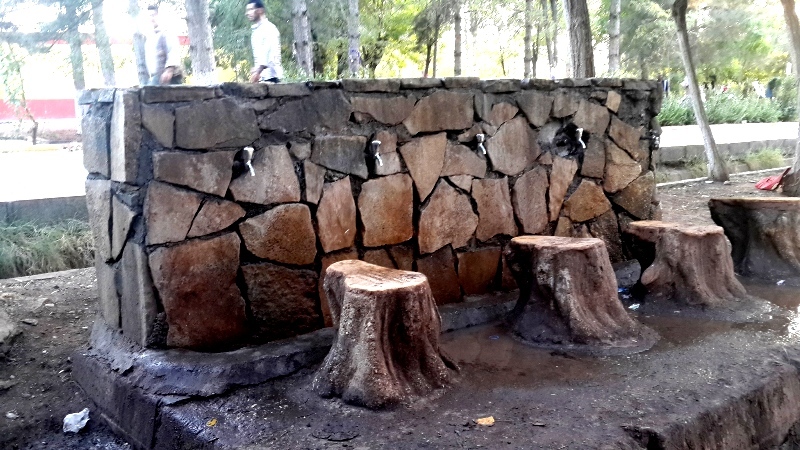 The Diyarbakir Ezidi camp is located 20 km south on the road to Mardin in Fidanlik Forrest park. 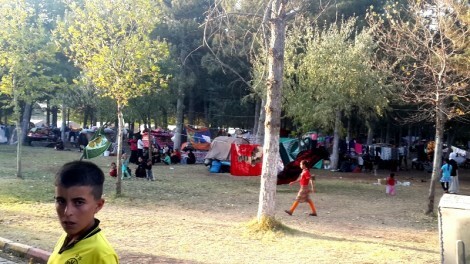 There are 4,500 Ezidis living in the open under trees without tents. There are 4 faucets in the open to serve the entire camp for washing and drinking water. Many people in the camp are sick. The food is delivered on styrofoam plates and often there are not enough meals to serve everyone. No one is allowed in to observe or speak to the Ezidis, and no one is permitted to leave. When I visited, I was prevented from getting out of my car until a crowd of hundreds of Ezidis approached the guards and blocked the four-lane highway in protest. The camp manager then allowed me to speak to Ezidis and photograph for 45 minutes, until the Jandarma (armed soldiers) showed up. Belediyesi officials told me to get permission from the Diyarbakir Governor in order to return. The Ezidis in the camp begged for news media and U.N. representatives to visit the camp and alleviate their situation. UPDATE: On Sept 16, I got a message from my Yezidi translator in Diyarbakir camp stating that a TV channel had been turned away and not allowed to speak to any Yezidis. The Diyarbakir camp blockade of the media continues and must be broken. 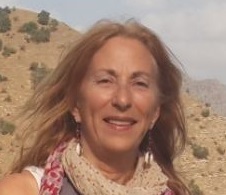 Dr. Amy L. Beam promotes tourism in eastern Turkey at Mount Ararat Trek and writes in support of Kurdish human rights. She has been following the Yezidis from Roboski border north. Follow her on Twitter @amybeam or email her at amybeam@yahoo.com. A good piece of work, thank you Amy! Excellent work. Thank you very much for enlightening us about the ordeal of Ezidi refugees in Northern Kurdistan.